MADRID -- A sweater made by Lamar Bliss of Madrid has received the People's Choice Award in the TAUNY Knits! 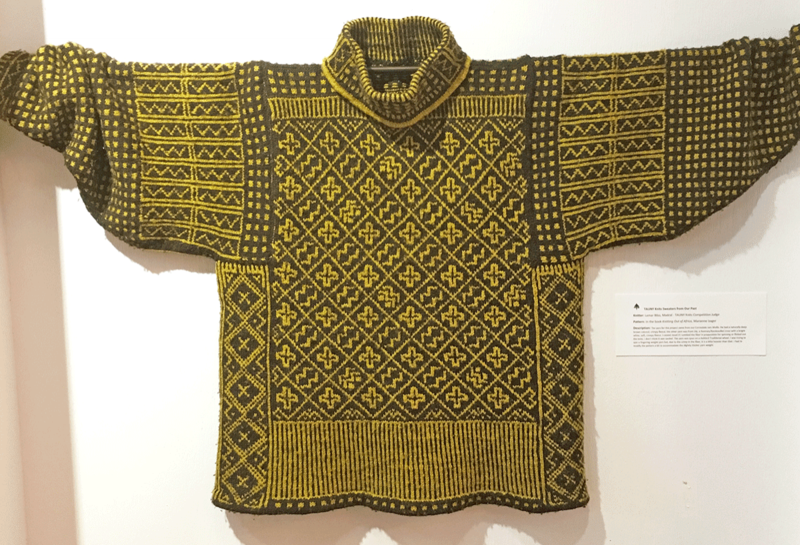 exhibition of hand-knit sweaters at The TAUNY Center. Bliss hand-spun and dyed wool from her own sheep to knit the challenging pattern from knitwear designer Marianne Isager’s book Knitting Out of Africa. Voters cited the excellence of her spinning and knitting, and the attractiveness of the finished garment. The exhibit was on display at the TUNY Center, 53 Main St., Canton Feb. 9 to 23.